Maia was an experiment. At the age of seven, she and her identical twin brother Eren Jaeger were injected, by their own father, with elixirs to boost their chances of survival, and to save humanity from extinction. Maia's changes were almost immediate, and when she and her previously identical twin brother went outside the next day, she heard a shout; "Demon!" Maia was driven from her home, from her family in Shingashina, and thrown outside of the walls, left for dead. In a rebellious act to sever connections with her father, who brought this banishment upon her, she changed her last name to Day, vowing to never use the Jaeger name for herself ever again. That was before, this is now. This is the story of Maia Day, who survived outside of the walls, and who sees the Colossal Titan breach wall Maria in the Shingashina district in 845. Will Maia stay in the safety of her forest, or will she forgive her family and try to help? If she returns to the walls, will her life ever be the same again? I do not own Attack on Titan, only my OC Maia Day. She's lived outside the walls all her life. When the humans ventured outside Wall Maria, she protected them, and watched over them to the best of her ability. She saw what happened when the Colossal Titan attacked. The Forest of Giant Trees is where she resides, and she spends her days killing her fair share of the monstrous Titans. But when the humans find out about her, they are shocked, and wary. The reason? She is not fully human; only half. With big, white, feathery wings, most would see her as... an angel. She has always stayed outside the walls for that reason, and doesn't plan on going inside them anytime soon. Plus, she doesn't exactly trust humans, for they are the ones who killed her parents and made her this way, forcing her to flee outside the safety of the barriers around the cities. But will a certain group change her mind? This story belongs to the user @_Rainy_Melody. Make sure that, if you would like to use this story idea or OC in any of your stories/ fanfictions, then ask her. This story is based on Attack on Titan, which does not belong to @_Rainy_Melody. All rights are reserved. -in which a girl with the miraculous power to turn into any animal is discovered by the Survey Corps. There is an old legend... one that tells of a Guardian of a certain forest that is close to the outside of the walls. Enemy, Ally, Titan, or Human? No one really knows who or what the guardian is, but a certain blond is eager to find out. Before Armin Arlert's grandfather was sent with the rest of the refugees to try and reclaim Wall Maria, he gave his young grandson a book. But this wasn't just any book- it contained information on the so-called "guardian" of the Forest of Giant Trees. There is a section upon which the book explains that the guardian may even be summoned! "If you are to summon the Guardian, be wary of its power, for you must have an important matter regarding the forest in order for you to gain it's aid... and if you don't, then may death welcome you as the Guardian's wrath descends upon all who have foolishly summoned it..."
The one thing Ilsa wanted was to escape. She wanted freedom from her current oppression, and that was what she got. The military accepted her, and she trained hard, trying to throw away her dark past while disguised as a boy. Then, tragedy had to come along and break down her walls. This is still a work in progress, and I intend to go back and make edits to chapters later on:) Enjoy! This anime (Attack on Titan) does not belong to me; all credit goes to Hajime Isayama. Aurel Rinbree. Always the outsider, the outcast, the freak, the demon. She is an orphan never having known who her parents were. The only thing she is left with is a short note, wolf ears, tail, eyes, and bloodlust to hide. So far she's doing well. She has blent in with the citizens of the shiganshina district, survived weeks without food and shelter, and stayed hidden never giving up a secret to anyone around. But, soon her life will change forever starting with the fall of wall Maria. Continue reading to find out about dear Rel's adventure through despair, hope, anger, bloodlust, friendship, and sadness. Lillian has always lived her life outside the walls. 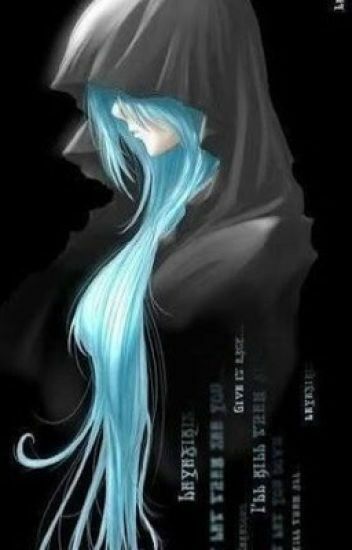 She hides from the humans that leave their protective barrier while at the same time killing most of the titans that go after them. What happens when she saves one of these humans, getting injured in the process? Follow the dragon shifter as her life is turned upside down and she experiences things she never thought she would. I have to kill them all. I have to kill all the titans. One girl. Many titans. Friendships, heartbreak, and sadness happens in one girls life. She's the infamous unknown force behind the Survey Corps that can defeat a horde of titans in a matter of seconds like a tornado that swept everything it comes across. With her intellect and fighting skills that is believed to be on par with Humanity's Strongest Soldier - not that she'd ever met the guy. She is the perfect soldier humanity has to offer. Then there's Humanity's Strongest Soldier, Captain Levi Ackerman. An exact replica of Xyra in combat and skills. When this two meet, not only titans should humanity fear, but a raging war between these two shorties. Literally.